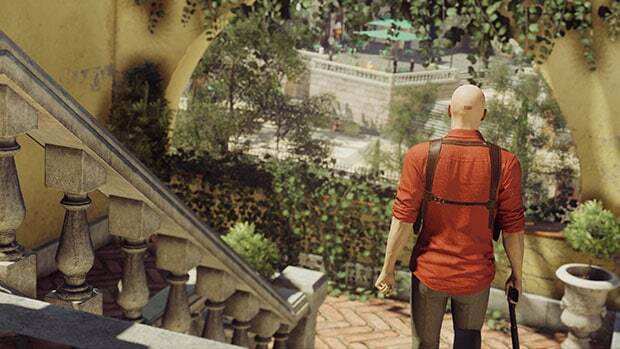 After Episode 1, I was in two minds of what to expect from the follow-up, but Io Interactive has delivered in spades with great attention to detail in the Italian town of Sapienza. This time, Agent 47 has the task of taking out two targets, along with a prototype of a deadly virus. Opportunities are everywhere for 47, and I encourage you to just take your time exploring to see what’s available for you to try. You can disguise yourself as mansion help, try to deliver flowers, and more as you try and get into the mansion. While this time finding your targets isn’t that much of a problem, the real test is in how you manage to bring them away from the layers of security in the mansion to take them out. NPCs felt a lot more lively this time around as well. I’ve grown to enjoy toying with the various NPCs in Sapienza and spent a good amount of time throwing coins around just to see different reactions. It was hilarious seeing someone pickup a coin and act like there was no coin, with appropriate dialogue as he inserted it into his pocket. This is the kind of attention to detail that makes me want to replay Sapienza over and over again. The same options are available here that make the experience more accessible or harder depending on what you’re looking for. After a blind play-through, it is worth enabling all the visual guides just to see how many options Io has given the player. Seeing a greyed out door knob or opportunity basically instructs you to come back when you have a necessary item and sends you on a side mission of sorts. 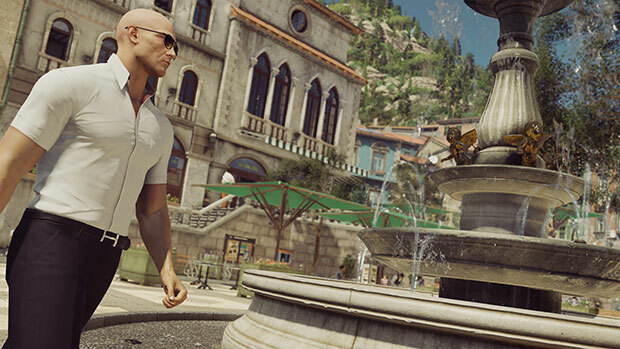 Visually, Sapienza is gorgeous, with lush environments presenting you plenty of opportunities to dispose of bodies. Right from the get-go, Agent 47 is adorned in attire that would not be out of place in a Bond movie as he relaxes, reading the newspaper. The environments are very detailed as well as you go deeper and deeper into the mansion and the surroundings. There have also been a few patches since episode 1 released and they have more or less fixed my connectivity problems. I haven’t experienced a single disconnect in my time with Episode 2 and they claim to have added a mode that lets you immediately try and reconnect to your mission so you don’t lose your progress like before. I was hoping for performance improvements, but there are still some issues that haven’t been addressed. 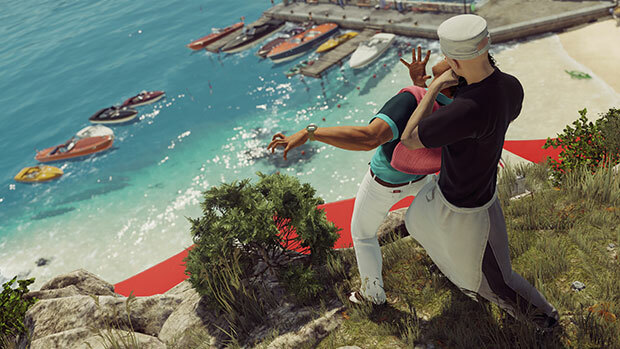 While the core gameplay was great in Episode 1, Sapienza really made me a believer in Io’s episodic model just because of the sheer possibilities to accomplish your missions and the attention to detail in the sandboxed environment. Encouraging replays in an environment where you’ve thought of so many things is respectful of the player’s time. If the quality of content improves like this, I cannot wait to see what Io brings next.